Cynara cardunculus (artichoke thistle) is a large perennial thistle (family Asteraceae) found below 500 m elevations throughout California, except in the Great Basin and Desert Regions. Artichoke thistle prefers disturbed open sites, including grassland, chaparral, coastal scrub, and riparian areas. This thistle is closely related to cultivated artichokes (Cynara scolymus), and the two species hybridize frequently. 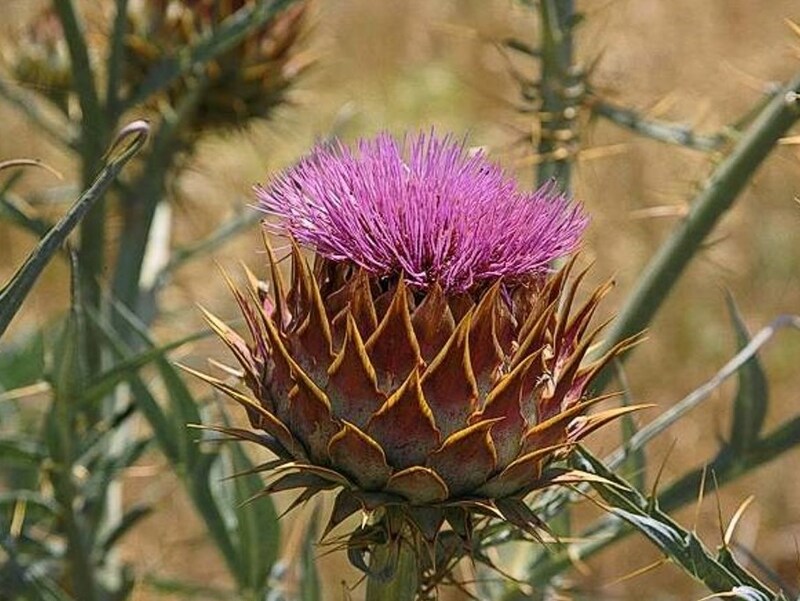 Artichoke thistle is also sometimes grown as an ornamental plant, and is available commercially. It reproduces by seed and sometimes by resprouting from root fragments. When attempting control by mechanical removal, most of the plant’s large taproot must be removed to avoid resprouting.